Hosted by Hong Ngoc General Hospital with the cooperation of R.I.C.E project (US), Lifting up Dreams 2019 is taking place from 3rd March to 17th March 2019. Applications for plastic and reconstructive surgery would be sent to Hong Ngoc Hospital from now on to 28th February 2019. Lifting up Dreams is an annual charity program offering free surgery for Vietnamese children with severe birth defects. 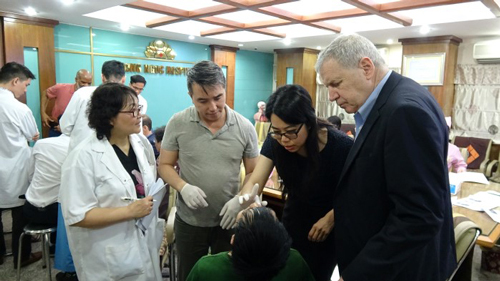 Since 2013, with the support of Hong Ngoc General Hospital, the team of American surgeons from R.I.C.E project and Hong Ngoc specialists have successfully performed life-changing surgery for 128 poor children with complex deformities. After receiving complete applications from families across the country, the hospital will contact with the patients. During the program, they will be directly examine by both American and Vietnamese specialists. Patients with suitable health conditions will be selected for charity surgery. For the disadvantaged children with financial difficulties, Hong Ngoc General Hospital will provide them with postoperative care and support. For years, Hong Ngoc General Hospital has opened opportunities for disfigured children to correct their deformities, thus lifting up their little dream of living a normal life like others. Vi Thi Phu (1998, Thai Nguyen) suffered from jaw bone deformity, neck deflection, scoliosis and ear defect. The deformities makes her life extremely difficult. 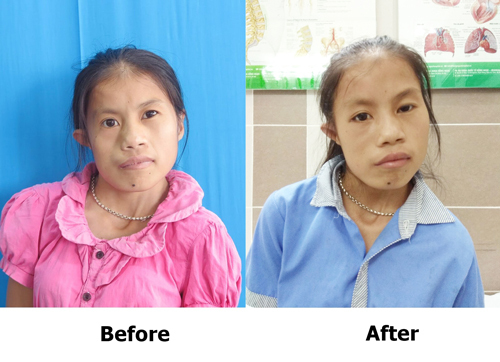 She has undergone surgeries to gradually correct and improve her defects at Hong Ngoc General Hospital. 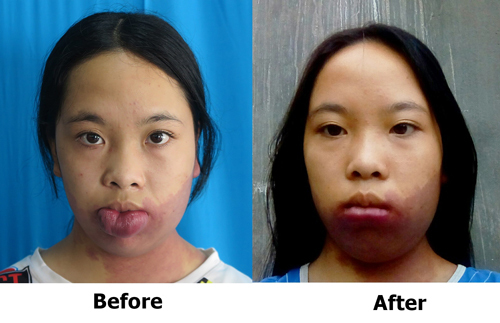 Le Ngoc Lan (2002, Lam Dong) was born with hemangioma occurred on the lower part of her face, making her face and lips deformed. Doan Thu Huong (1997, Hung Yen) has craniofacial deformity which makes her face skewed to one side and her mouth is also distorted. Moreover, she cannot listen from one of her ears due to ear defect. 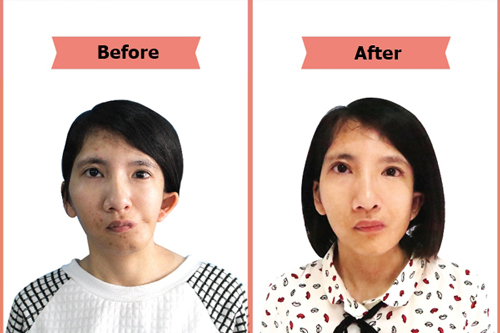 All of these patients have gradually treated to improve the defects on their face and body. They are having a new life in which they can be more confident in pursuing their dreams. The charity surgery program hosted by Hong Ngoc General Hospital has actually contributed to build a better community, starting from each case of disadvantaged children. This year, applications including portrait pictures and medical records are received from 15th January to 28th February 2019. Family of disfigured children could send the application directly to Hong Ngoc General Hospital of fill in the form here. All applications will be processed before the arrival of the American specialists. Examination and screening process will be done after that. For guideline of questions related to the application procedure, please contact our hotline at +84 932 232 017. Examination and surgery: 3rd March – 17th March 2019.